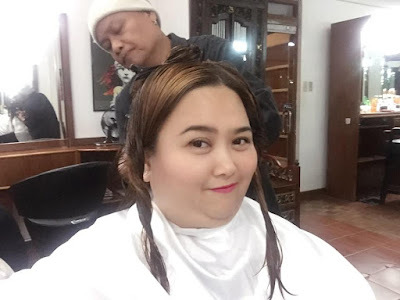 My latest experience at Fanny Serrano's prestigious salon was fabulous. Fanny Serrano lives up to his name, in case you don't know yet, his name rings a bell because he's the famous celebrity stylist and makeup artist to the stars. So I was so nervous about finding a new hair place. 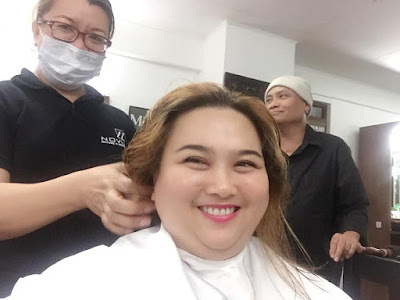 It had one of the highest reviews, plus I know for a fact that his salon is the go-to-place for most local celebrities. I decided to give it a go. And I don't regret one snip. Fanny Serrano Boutique and Salon was indeed a cute place with wonderful people. Fanny himself was amazing so was his staff like Bambi. It was through him that I got the best haircut that I have had in a long time. 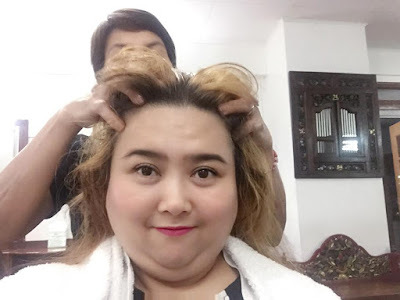 And not only that, although I've long been writing about Novuhair, yes, that miracle potion bottle called Nature's Answer to Hairloss," it was only because I saw what it does to my mom's hair. I had also heard about its many testimonials on gaining back their hair. 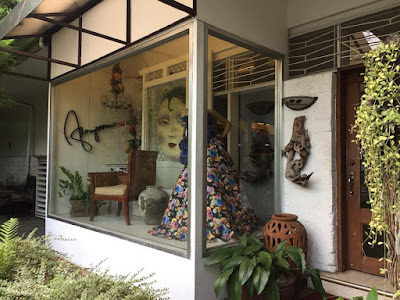 But I had never realized I needed them myself until my visit to Fanny Serrano's Salon the other day. 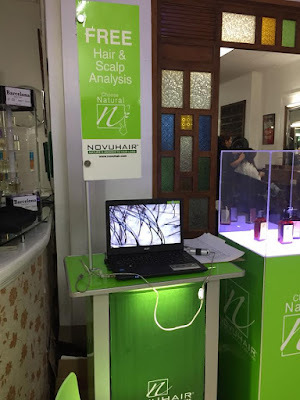 I had undergo Novuhair's Scalp and Hair Analysis. 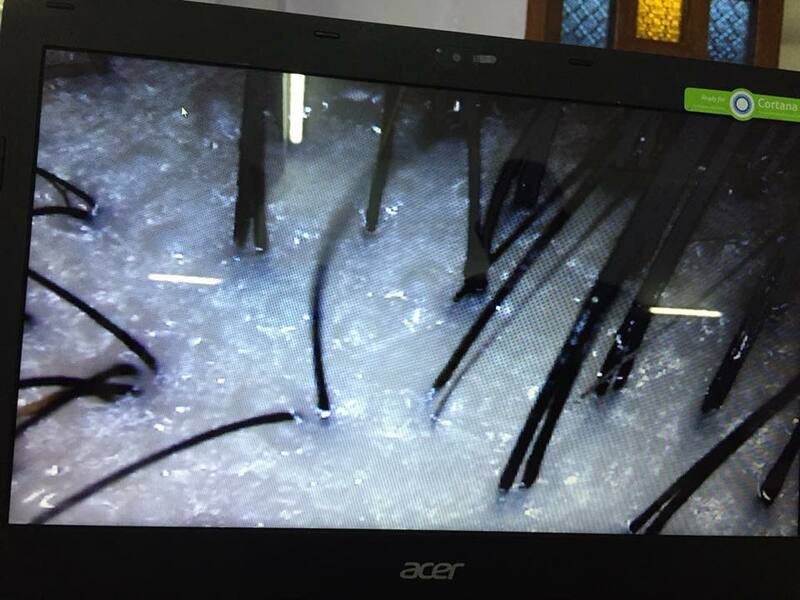 It had a camera connected to the laptop where you get to see your scalp and hair up close or in extreme close up. It was then that I saw how oily my scalp was and how thinning my hair has become. You see, I always had problems with falling hair. This is also the reason why I hate combing or brushing my hair because I could see my hair strands falling. 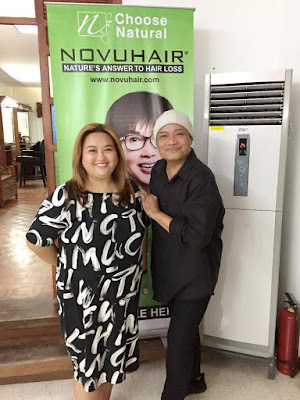 After having the scalp and hair analysis conducted by Novuhair, I realized I had to do something about my thinning hair before it's too late. Do you notice the strands of my hair? They seem to be apart, right? It indicates hair thinning. 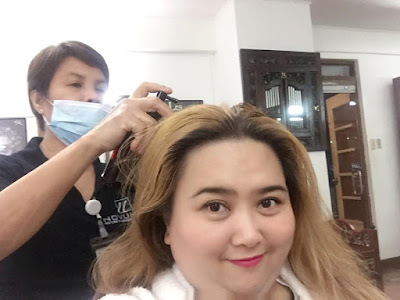 So I was advised to experience Novuhair 3-step treatment that day. 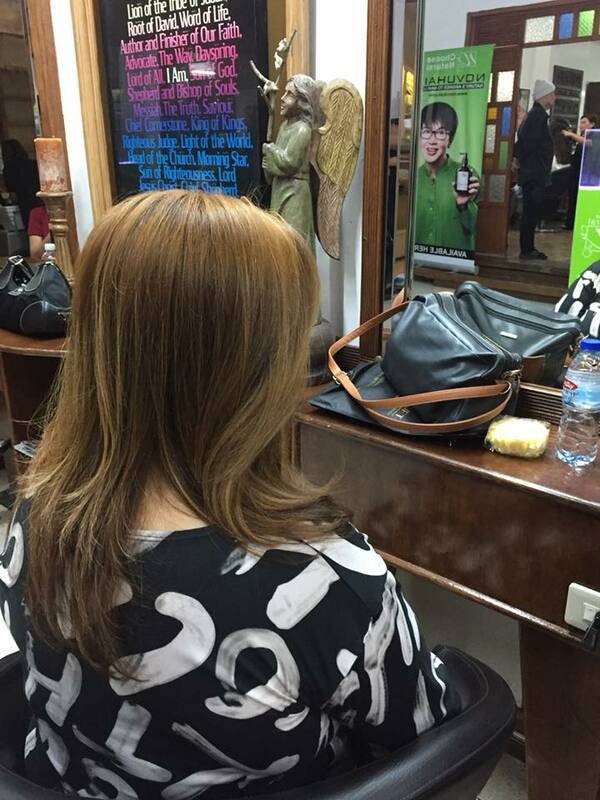 So first, a staff had sprayed the miracle bottle Novuhair Topical Scalp Lotion on my scalp. While doing this, she was massaging my scalp. She says it is highly important to massage the scalp for maximum absorption and optimal benefits from Novuhair. Pardon my double chins, but my scalp was being massaged here. 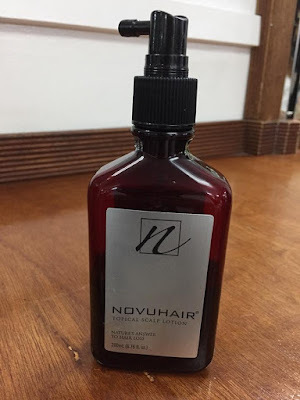 At first, Novuhair'Topical Scalp Lotion smelled a bit strong, especially upon first whip of the scent wafting in the air. But it was nothing irritating to the olfactory nerves though, but a bit strong from the onset--similar to molasses. But after a while, you'll get used to it. 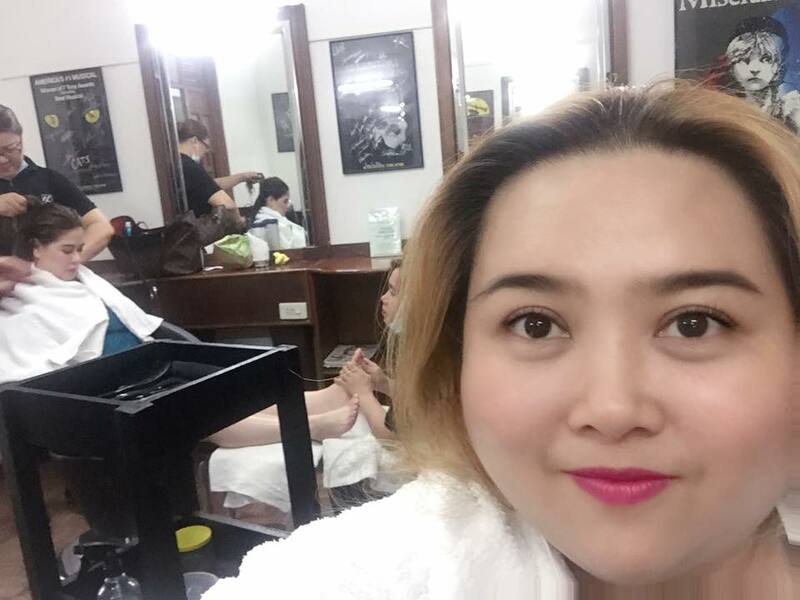 While my scalp was being massaged, I felt a bit sleepy because of its "minty" feel on my hair and scalp. It felt like it was lulling me to slumber. But I didn't want the hairstylist to hear me doze off to sleep. But I'm telling you, the experience was really relaxing. 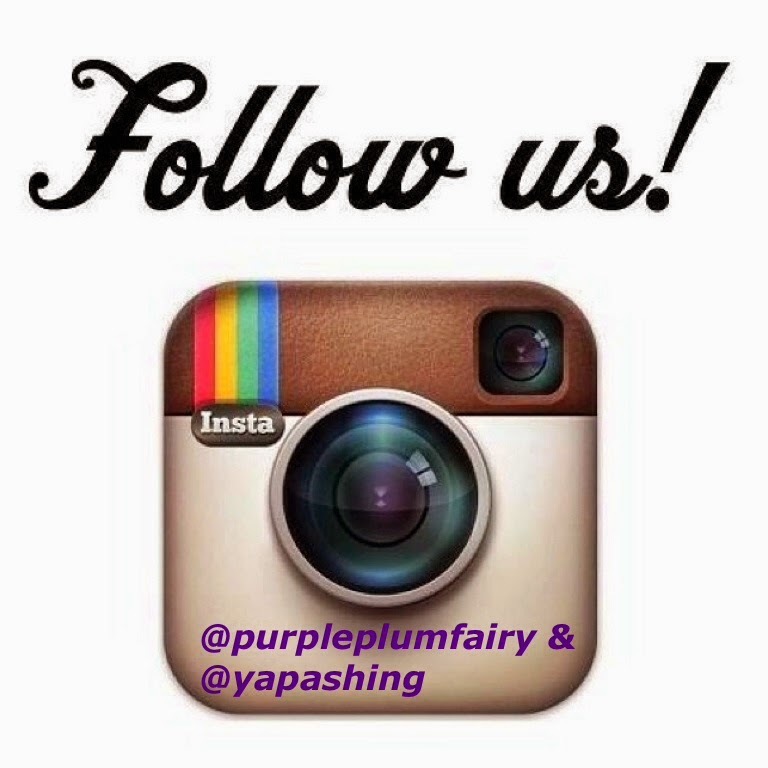 Purple Plum Fairy's hair was being shampooed. Once the scalp has been massaged, off to the sink I went for more Novuhair products: Herbal Shampoo and Herbal Conditioner. And then heaven begins with a head massage, while I am shampooed with really good stuff. They take their time and make me feel like I am their only customer and make it an experience rather than a service. I was then informed they'll be giving me a haircut courtesy of one of Fanny Serrano's senior stylist, Bambi. Purple Plum Fairy checks on her cellphone while her hair was being trimmed. Purple Plum Fairy was all smiles as the staff tries to examine her hair. 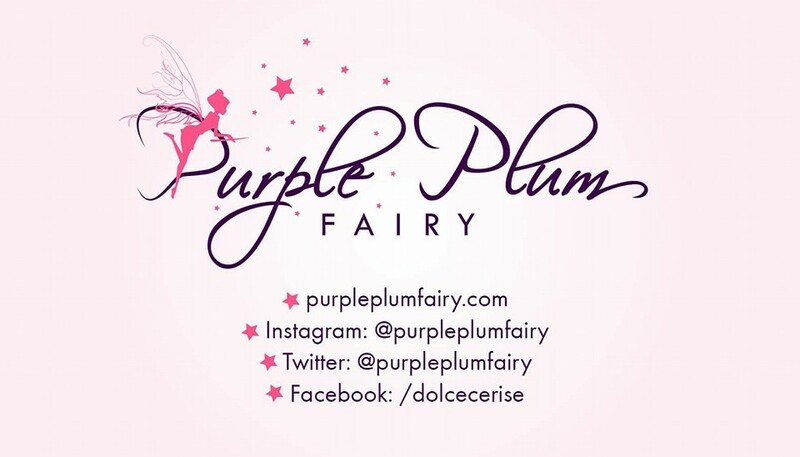 Purple Plum Fairy was lucky to have news anchor and TV personality Connie Sison of GMA News in the same room. I'm ready for my haircut! My hair has never, EVER felt so soft and healthy. Bambi, being a senior hairstylist made me feel comfortable about framing my face. 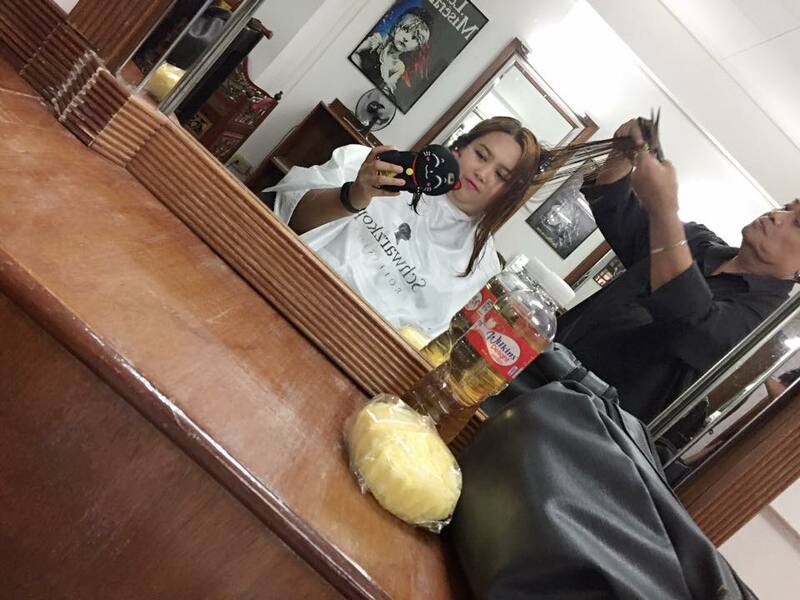 Fanny Serrano Salon also offers the best and healthiest hair products. I highly recommend this prestigious salon if you're looking for healthy and stylish hair from the inside out. Novuhair is one of the products that Fanny himself endorses because he has tried them himself and he's found it really effective. I also liked Bambi because he puts a lot of thought and planning into my hair and what would be best for me and my hair, not just throwing something together. Together with the hep of Novuhair Topical Lotion, he has helped get my hair back in better condition than its been in years. Thanks to the natural non chemical product that Novuhair offers. The team at Fanny Serrano are talented individuals! I am very pleased with my new haircut. They take the time to learn about me and exactly what I am looking for! 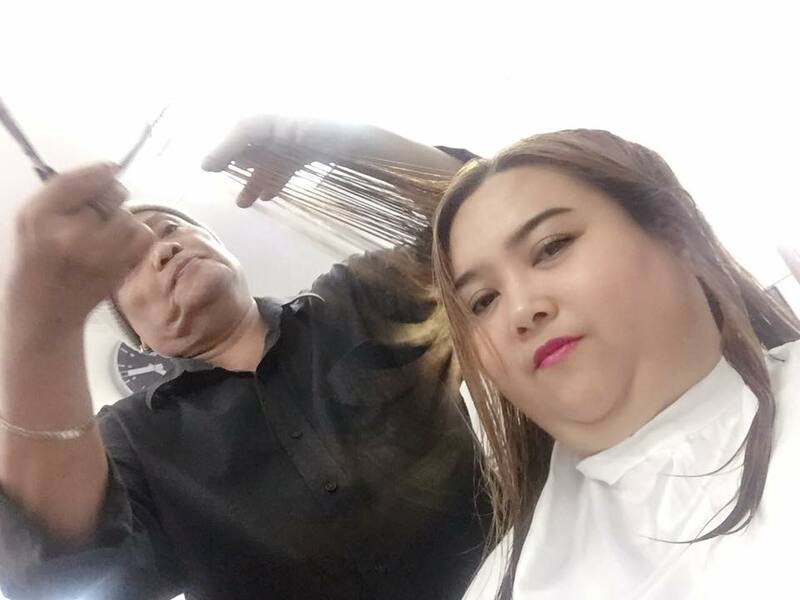 My stylist, Bambi possesses an artistic talent at a level which cannot be taught; it is an intricate part of his persona. His aptitude to create a fabulous look for each of his clients attests to his broad knowledge of cutting techniques as well as his positive interactions with his customers. Bambi possesses exceptionally high intelligence combined with an outgoing personality. He truly cares about what his clients want and puts forth extreme effort to achieve that outcome. Novuhair brand rejuvenates hair follicles and improves blood circulation to the scalp to stimulate hair growth. It also eliminates dandruff, detoxifies scalp and improves scaling. 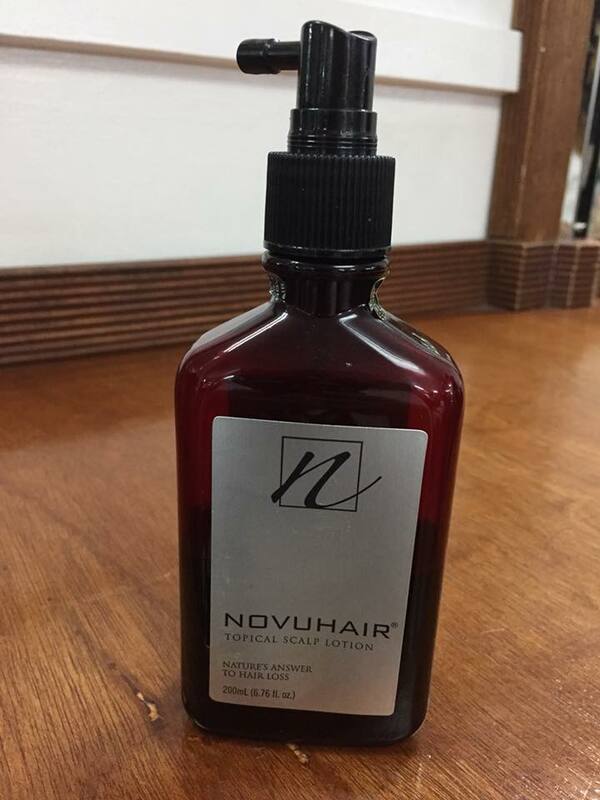 Overall, Novuhair provides optimum nutrition to combat hair loss and hair thinning. 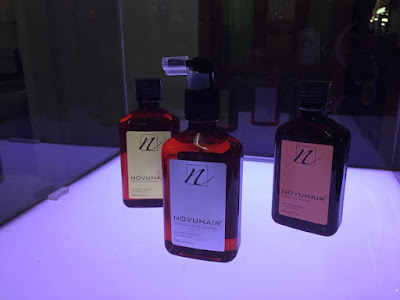 I love that the three Novuhair products (topical scalp lotion, herbal shampoo and conditioner) together add shine, add volume, clean thoroughly and lather well. 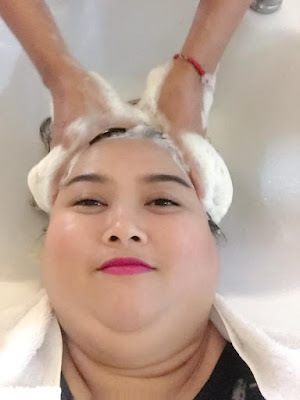 The herbal shampoo does not have the thicker consistency that a lot of people expect in a shampoo, but it works. Much like the rest of the body, our hair goes through changes as we get older. And in some cases, because of genetics, being deficient in vitamins and minerals to promote hair growth and being too stressed slow down the hair cycle further. These lead to hair loss, which can be very traumatizing. If you are one who’s losing far more locks than 100-150 hair strands a day, it may be time for you to find and uncover solutions to restore hair the natural way (without wearing wigs or undergoing hair transplantation surgery). If you have thinning hair, ditch heavy styling products like waxes and those that have too much chemicals as they may be too strong for your scalp and your hair will look gappy. Oh, and please take advantage of Novuhair's Free Hair and Scalp Analysis. You can get their schedules as well as venues via their website or on their Facebook Page. The Novuhair 3-in-1 Topical Scalp Lotion, Herbal Shampoo and Herbal Conditioner Pack, in 200 mL bottles each, is available as a bundle at all Mercury Drug and Watsons stores with an SRP of PHp 4980. For more information, you can visit Novuhair’s Facebook Page here or contact Nutramedica at 4136570 or 775-8368 between 8:30AM to 5:30PM Mondays to Fridays. Special thanks to Novuhair, Trendspotting, and Fanny Serrano Boutique Salon. 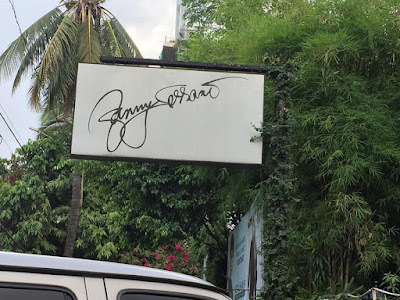 You can visit Fanny Serrano Salon at 32 Scout Borromeo Street, South Triangle, Quezon City. Call them at (02) 351. 1698.